What is on your Genealogy Bucket List? What research locations do you want to visit? Are there genea-people that you want to meet and share with? What do you want to accomplish with your genealogy research? List a minimum of three items - more if you want! 1. I want to nail down all 32 of my great-great grandparents. At this point, I have 14 of 16 great-grandparents, and 12 of 32 of the great-great grandparents. This will give us a pretty good picture of where we come from! I would also like to be able to tell the story of these people, not just the names and dates. 2. I would like to make a genea-trip to Germany. 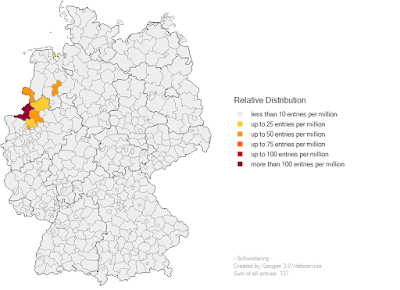 Unfortunately, that would have to include quite a few places: Erkeln (Ortmann relatives), Muenster (cousin Michael), Hamburg (cousin Karl-Heinz), Bremerhaven (Langer/Berneburgs), Bremen (Bollmer/Schulzes), Hannover (Berneburgs/Hugs), Eltmannishausen (Berneburgs), Goettingen (great-grandfather Max Langer), and Lohr in Bavaria (Sieglers). Could I do that all in one trip?? I don't know. 3. I would like to really understand the DNA thing. I've been tested a number of places, as have my brother and (soon) my sister, but I'm not sure I understand the results and so far haven't made too many connections from it. It will take some concentrated attention on my part to understand and be able to do chromosome comparisons and so forth. I really would *like* to understand it, though! And I hope that my brother and sister will not have the same weird mutations that I have that make it very unlikely that I will find a match any time soon. They may have inherited more "normal" genes. So there you have it. I could go on, but I think these are the top three things on my genealogical bucket list right now. Thanks, Randy -- always fun things to think about. Great list! I am missing 6 of my 32 great, great, great grandparents. I'd like to find them! But, for me, more than half of those were already in the United States. So, I have a long ways to go to find all of my immigrants. The foreigners are the challenge! Only one of my great-grandparents was born in the U.S., the rest all in Germany. 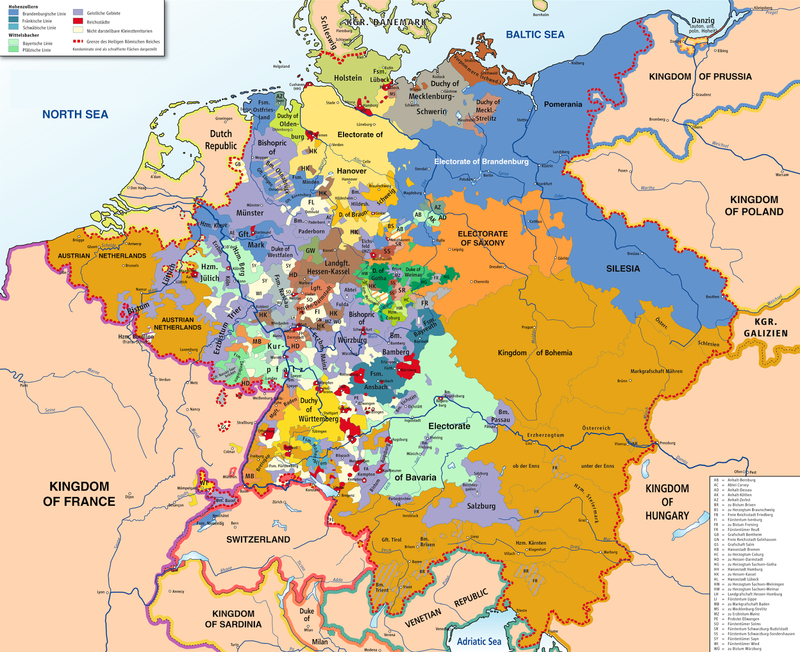 And Germany is soooo challenging as far as genealogy is concerned. Thanks for visiting!